Home/Cash Planning: How Much Should You Have On Hand? Cash needs will vary with stages of life, the stability of income, future uses for the cash, and how cash fits into your overall portfolio allocation. 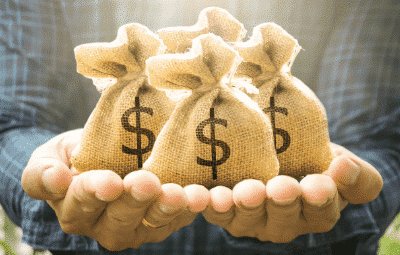 If you are holding what seems like a lot of cash, or are retiring soon, you may want to carefully consider how much cash you realistically can afford to hold. A new approach for the working years is to be very realistic about the amount of time it would take to find a new job, and accumulate a cash reserve accordingly. It may take much longer than 3-6 months. Another option that offers flexibility is to open a home equity line of credit that can be used when needed. It has the advantages of tax-deductible interest rates that are usually lower than credit card interest. Make sure your bank-held cash accounts are within FDIC insurance coverage limits. The FDIC.gov website has a link to the “EDIE the Estimator” tool that will help determine the insurance coverage for various types of accounts and account ownership. Cash in retirement is not for emergencies; for most retirees, it is for ongoing living expenses and near-term larger expenses such as a new car, a trip or home remodel. If the source of income at retirement is your investment portfolio, it is strongly recommended that you have enough cash on hand to cover all planned expenses for the first two years of retirement, and then set up a regular schedule of cash replenishment monthly, quarterly or every six months. New retirees must adjust to life without their jobs, and they often spend more to find interests and pastimes that appeal to them. They may take one or more trips and potentially buy a second home. Fully funding cash accounts with two years of living expenses during this transition is a wise precaution. Another even more critical reason to hold cash is in the event of market corrections. Taking cash out of a depleted portfolio makes recovery very difficult and, in some cases, impossible. For those with stable pension or other income at a level close to your previous income, two years of cash may seem like too much. If, however, spending needs go up, the extra cash will be available to draw from without impacting other investments. The amount needed can be assessed at six-month intervals to determine ongoing cash requirements. If you have large cash balances beyond what is needed for living expense to fund some future purchase, like real estate or a business interest, then additional cash planning should be considered. If the timeframe for the purchase is within one to two years, keeping the cash as liquid as possible is prudent as there is no need to risk any volatility. If the cash’s purpose is further in the future, then the cost of inflation begins to erode your purchasing power. Most likely, the asset you are planning to purchase is going up in cost with inflation while the cash is not. Cash is somewhat deceptive as it always maintains its nominal value. One hundred dollars will still be called $100 in ten years, but the actual value may be much less due to inflation. The annual U.S. inflation rate was 1.9% at the end of 2018 before moving down slightly to 1.6% in January of 2019. Compare that to the current average savings account yield of 0.09%. Holding cash would provide a net loss of purchasing power of 1.51% (1.6% – 0.09%). For a $1,000,000 account, that is the equivalent of losing $15,100. When inflation rises, purchasing power risk goes up accordingly. Bank savings accounts rarely if ever yield above the inflation rate. A high yield savings account or CD may provide slightly more purchasing power protection, but there are other fixed-income investment options that provide liquidity and security and keep up better with inflation. Your HKFS financial planning consultant can discuss those with you. Fill in the blank with any of various fears. Some fear the economy will go in a recession. Others fear another market correction. Some fear uncertainty brought on by daily news events. If you are fearful, why not keep much more than is needed for living expenses and future uses in cash? After all, cash has almost no volatility. The short answer is that concentration in any one asset class over time tends to be riskier than investing in a diversified portfolio. Investing in stocks, bonds and cash mitigates risk and volatility because while one asset class is going down in value, another is likely to be going up. Holding high concentrations of cash has the risk of inflation and the opportunity cost of missing out on higher returns from other investments. We are focusing on the cash that will be held for the long term and could be deployed to other investments within a diversified portfolio. A mentor of mine once said to me, “Would you be helping your clients if you told them to put all their money in one stock or in one bond?” The same is true for cash. Putting most of your money in any one investment, including cash, subjects you to higher overall risk than a well-diversified portfolio. Based on these numbers, waiting for the “right time” to invest can come with a high opportunity cost. Stock market gains have more than doubled those of high-yield savings account over the past ten years. One strategy that may help you ease into a diversified portfolio is called dollar cost averaging, which is a systematic investment strategy in which smaller amounts are invested over time. Usually, this is most effective in volatile markets. It can turn out to be an expensive way to invest if the market only goes up over your planned investment timeframe. Another strategy is to invest very conservatively at first (mostly fixed income investments) and increase allocations to equities over time. Your HKFS financial planning consultant can discuss these and other strategies with you to determine what is best for you. The bottom line is to make sure you have enough cash for living expenses, emergencies and relatively short-term liquidity needs. Beyond that, cash should be just one part of a well-diversified investment portfolio. While this communication may be used to promote or market a transaction or an idea that is discussed in this publication, it is intended to provide general information only about the subject matter covered and is provided with the understanding that neither HK Financial Services nor ProEquities is rendering legal, accounting or tax advice. It is not a marketed opinion and may not be used to avoid penalties under the Internal Revenue Code. You should consult with your CPA, legal counsel or other appropriate advisors on all matters pertaining to legal, accounting or tax obligations and requirements.